Following last year’s London Design Festival, we just had to return to Shoreditch, one of London’s key design districts, and one of our top creative hubs to source endless inspiration. owner of Shoreditch’s vibrant luxury homeware store, W.A.Green. This year, W.A.Green returned to London Design Festival with a playful window exhibit curated through a collaboration with German design brand, Pulpo, showcasing their latest products with some exclusively redesigned by Visual Artist Lois O’Hara. Renowned for its creative flair and quirky character, Shoreditch is labelled the social hub of London’s East side and home to some of our most recent schemes such as Turner Street and The Eight Shoreditch. At BoxNine7, we always explore the areas of which our schemes are placed in, which helps to ensure our designs are perfectly tailored to suit the location and client. what it is she loves about Shoreditch. “I find Shoreditch to be a really great location with a local and creative vibe. There’s endless street art created by new up and coming designers who create artwork which always happens to fit in with our vibrant style. Want to know more about this cool and vibrant part of London? Check out our As Seen In guide to Shoreditch. her self-named textile design studio. the more earthy and subtle tones of our TVC 1.0 scheme, we go beyond the design trends, constantly experimenting with colour to find the perfect palette of each furniture collection we curate. 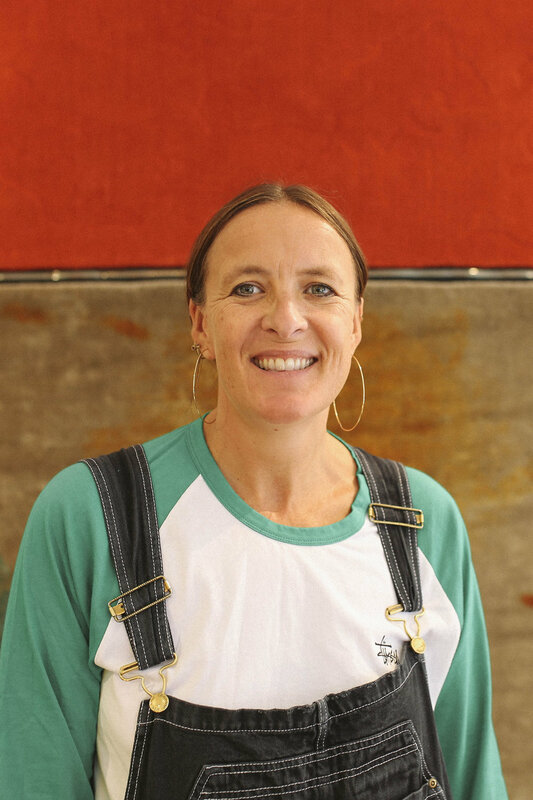 We couldn’t think of a better way to explore the universe of colour than with Textile Designer, Margo Selby. Margo held an exclusive workshop in their studio allowing us to go beyond the boundaries of colour, and design our very own art pieces. During the workshop, we managed to speak to Margo about how she plays with colour to achieve a particular pattern or overall look for her woven artwork. “As well as picking between complimentary, harmonious and blending colours, you sometimes need to consider the influence of light and dark too. This means thinking ahead. If the colours contrast against a white wall, this can create depth, whereas using colour in the same tone as the surface they sit against can feel quite flat”. combined colour within our schemes. BoxNine7 talk about wellbeing and creating a serene environment with in-house Nutritionist, Winder, from Charlotte Street’s health and wellness store, Anatome. Through the use of accessories and plant-life, you’ll find we inject vibrancy and personality into our carefully curated interior design schemes in various ways. We visited Anatome to explore their take on bringing the outside in, a unison between our interiors, and theirs. The nutritionist store is a hidden jungle of plants filled with hundreds of essential oils, and their unique philosophy - to enrich emotional and physical wellbeing. We spoke with the in-house Nutritionist , Winder, about the positive effects of their essential oils and explored the tranquil space Anatome have created in the Charlotte Street store. our Edit, ‘Bringing the Outside In’. BoxNine7 explore the craftsmanship of Reiko Kaneko’s ceramics with Ceramicist, Saskia Rigby. We’re truly captivated by the stories behind each furnishing piece we select for our schemes, it’s one of the reasons we are more than proud to offer a 5-year guarantee on all of our products. With craft and collaboration at the heart of every brief, we know all too well the importance of the process in achieving and introducing new, exciting, quality pieces to our collections. It made total sense to check out the works of Reiko Kaneko, British-Japanese ceramicist who crafts fine bone china ceramics and jewellery in her Stoke-on-Trent studio. Japanese culture has not only been an inspiration for the elegant simplicity of Reiko’s work, but it remains the key to her appreciation of craft and craftsmanship, which is what had drawn us to her work so perfectly displayed within the Shoreditch’s Nobu Hotel’s lobby. Speaking with Ceramicist, Saskia, we got a deeper insight into Reiko’s creative process. See the craft behind our furniture in our ‘Craft & Collboration’ blogpost. industries bring the outside in to create a particulcar environment, and learn about the craftmanship stories behind other design mediums. Want to collaborate with us next year? Be sure to contact us for your chance to get featured on The Edit. Catch up with #CollectiveNine7’s whereabouts and get insight into our latest projects by following our Instagram and Twitter pages, @BoxNine7. Don’t be afraid to shoot us a direct message and let us know what your highlight of the event was!